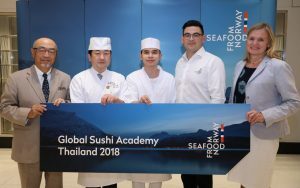 The Norwegian Seafood Council (NSC) launched Thailand’s first Global Sushi Academy Competition in collaboration with theWorld Sushi Skills Institute (WSSI), and proclaimed Mr. Puttipong Wichachai, Sushi Chef at Umi Japanese Restaurant the winner out of 21 contestants. The event was honored by the attendance H.E. Mr. Shiro Sadoshima, Ambassador of Japan to the Kingdom of Thailand and H.E. Mrs. Kjersti Rødsmoen, Norwegian Ambassador-Designate to Thailand who awarded the winning title. The 29-year-old Thai sushi chef with 10 years of sushi-making experience under his belt will be sponsored by the NSC as the first Thailand-based chef to compete at World Sushi Cup tournament in Tokyo, Japan, August 2019. The Global Sushi Academy Competition was recently held at Culineur, 7th Floor Emporium Tower. The Global Sushi Academy Competition brought together 21 sushi chefs from across Thailand to compete in a traditional Edomae sushi-making contest, using Norwegian salmon, a popular sushi topping, as a leading ingredient. Contestants were tasked with assembling a dish of more than 35 but fewer than 45 pieces of sushi, and were judged on hygiene management, preparation techniques, sushi making skills, and bamboo cutting. They were trained and judged by Mr. Hirotoshi Ogawa, Director General of the World Sushi Skills Institute (WSSI), and a full-time lecturer of All Japan Sushi Association. 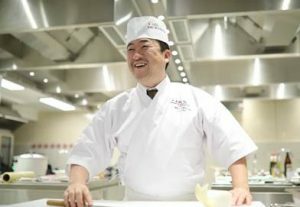 Those who passed the sushi proficiency written exam were awarded the All Japan Sushi Association certificate and registered as WSSI approved chefs. The NSC, sponsor of Mr. Puttipong Wichachai’s trip to the World Sushi Cup 2019 competition in Tokyo, works closely with the WSSI, a subsidiary of All Japan Sushi Association – the only officially recognized international sushi body in Japan – to promote the knowledge and skills around hygienic handling of raw seafood through the traditional art of sushi-making. The WSSI’s mission is to educate sushi chefs in regions with no tradition of raw fish preparation on food safety best practices, while the NSC sees the importance of Thailand as a destination with soaring import of Norwegian salmon and preference for modern Japanese cuisine. 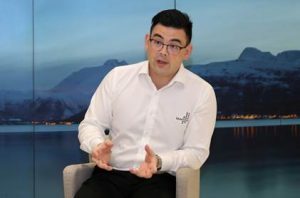 Norway is the world’s biggest producer of commercial salmon, known for its incredibly safe seafood, farmed and caught in the cold, clear waters of the Norwegian Sea. It introduced fresh, farmed salmon of renowned quality to Japan in the mid-1980s, enabling salmon sushi and sashimi to become Japan’s iconic dishes with world-wide popularity. 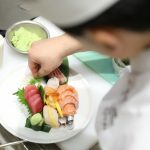 Tokyo’s World Sushi Cup tournament in August 2019 will consist of lectures, training, exams, and Edomae sushi competitions; competitors who pass to the final round will battle to demonstrate their unique creative abilities in crafting sushi. 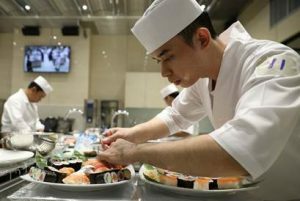 The World Sushi Cup recognizes the importance of sushi chefs overseas, and the tournaments serve as a testament to the winners’ skills, propelling chefs to global recognition. The Global Sushi Academy Competition was an important stepping-stone for Thailand to be represented in the global arena. The event served to demonstrate an international commitment to highlighting the importance of food safety and the beauty of sushi arts. Recognized by the NSC and the WSSI as a nation that has a wide-ranging culinary influence, it may be time for Thailand to carry the torch in showing its love of raw fish with a commitment to promoting food safety.